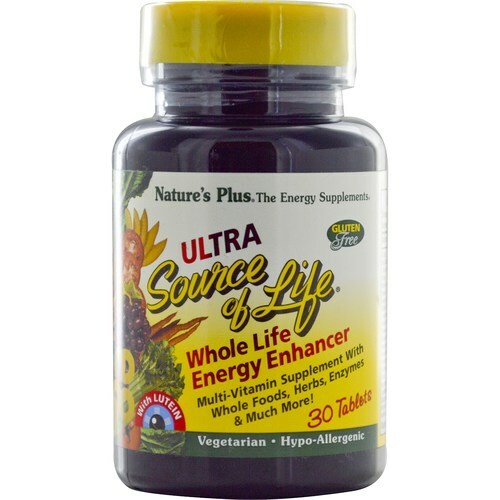 Nature's Plus New ULTRA Source of Life with lutein offers an ultra-wide array of powerful, all-natural ingredients in a single multi-vitamin supplement. 警告: Do not take with sulfonamide since PABA interferes with the activity of the drug. Accidental overdose of iron-containing products is a leading cause of fatal poisoning in children under 6. Keep this product out of reach of children. In case of accidental overdose, call a physician or poison control center immediately. 注意事项: Free from artificial colors and preservatives. Free from the common allergens yeast, wheat, soy and milk. 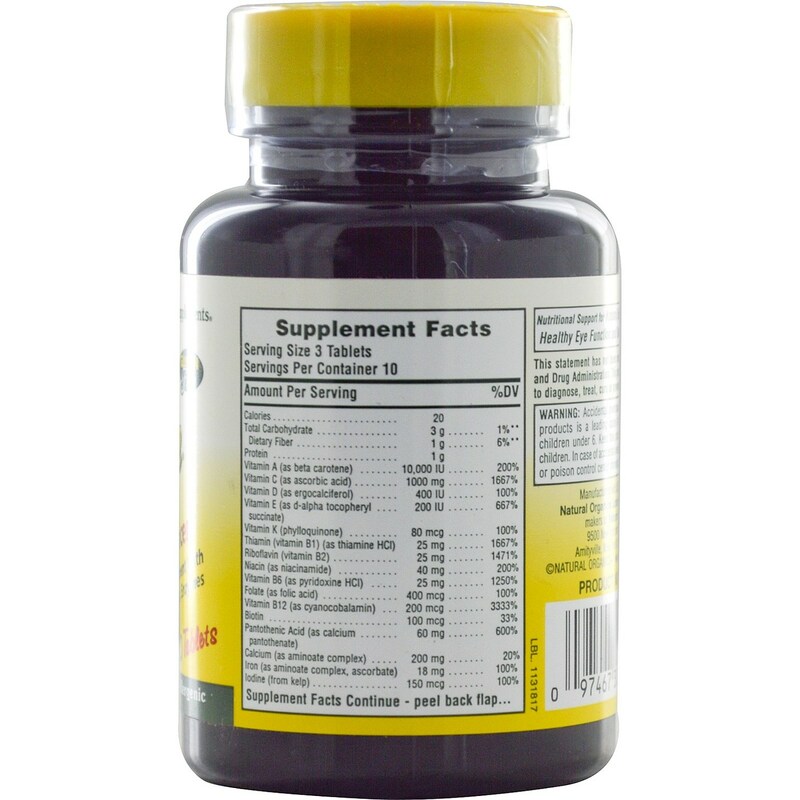 推荐用法: As a dietary supplement, take three tablets once daily.